Known as the Village in the City since 1973, Burleith is a small 10-square-block residential community nestled between Georgetown to the south and east and Glover Park to the north. 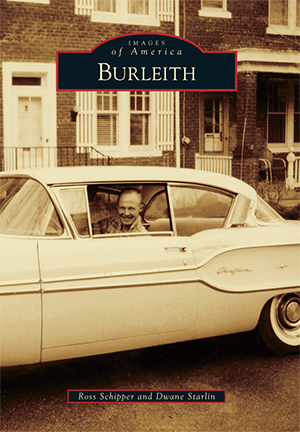 The name "Burleith" dates back to 17th-century Scotland, and the area was first subdivided in 1887 as part of Frederic W. Huidekoper's Burleith Addition to West Washington. Also known as Georgetown Heights, Burleith caught the attention of Charles Dickens, who wrote in 1842, "The heights of this neighborhood, above the Potomac River, are very picturesque and are free, I should conceive, from some of the insalubrities of Washington." The Shannon & Luchs real estate firm built the majority of Burleith's row houses in a predominantly Georgian style during the early 1920s. Ross Schipper, currently retired, holds a doctorate of mathematics from the University of Maryland (1974). He has lived in Burleith since 1989. Dwane Starlin is a professional actor-performer and a licensed tour guide of Washington, DC. His former occupations include petroleum land man, real estate agent, stockbroker, musician, and restaurateur. He has lived in Burleith since 1999. Both are members of the Burleith History Group and the Burleith Citizens' Association.